Paint a beautiful gradient background onto your rocks. 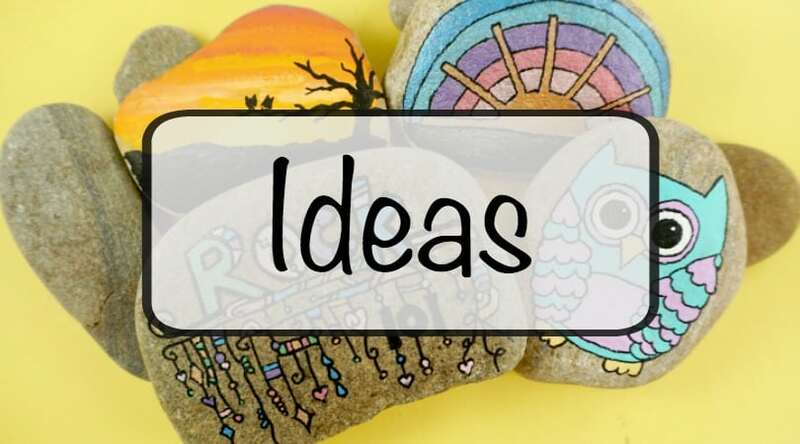 These are perfect for kindness rocks and sunsets! 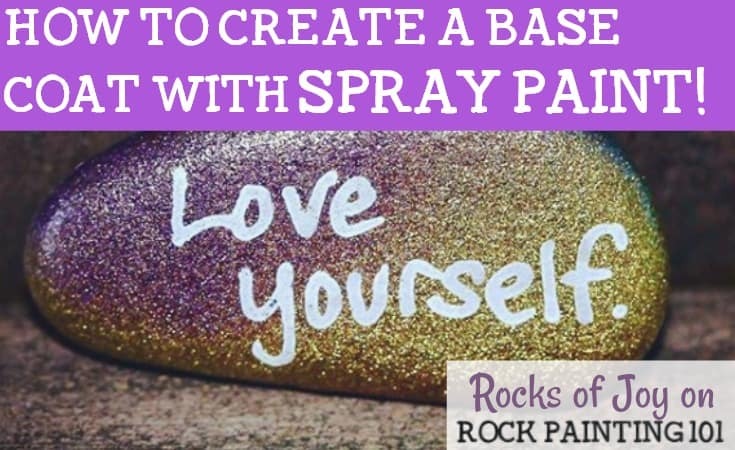 There are so many amazing ways to create a beautiful base coat on your rocks. 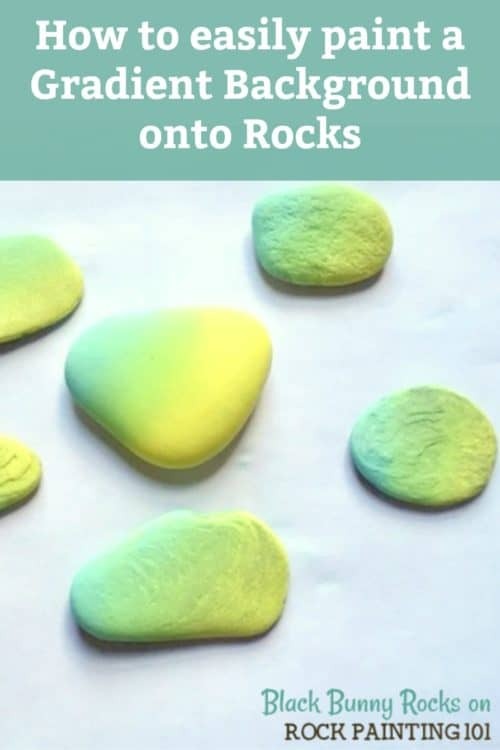 Last week we shared how to base coat kindness rocks with spray paint, and today I want to share with you another fun technique we found on Instagram! 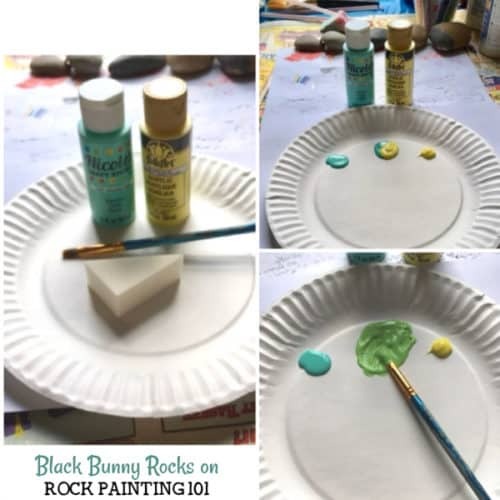 Cindy aka BlackBunnyRocks has been creating rocks for 8 months she has a beautiful way to basecoat her rocks. She was inspired by another fun account to follow on instagram Kala Escobar. 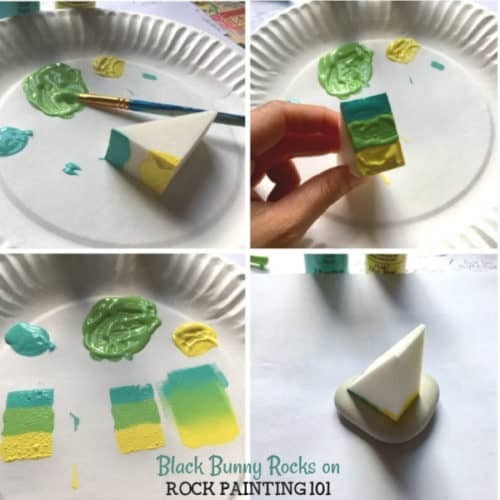 This is a great way to get a gradient or ombre effect on your rocks! 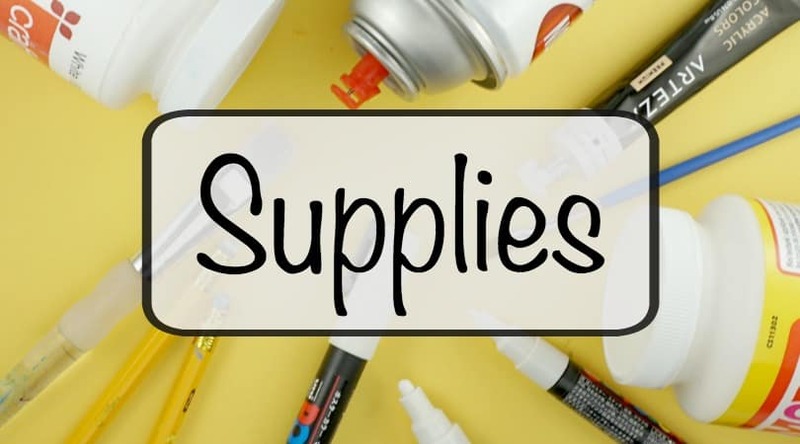 You will need to grab some makeup sponges, a flat pallet or paper plate, and 2 colors of acrylic paint. Start by putting both paints on your pallet, then mixing them to create a third color in the middle. Next, add all 3 colors to your sponge using a brush. Dab the paint on your pallet to remove extra paint and to blend the colors on your sponge. 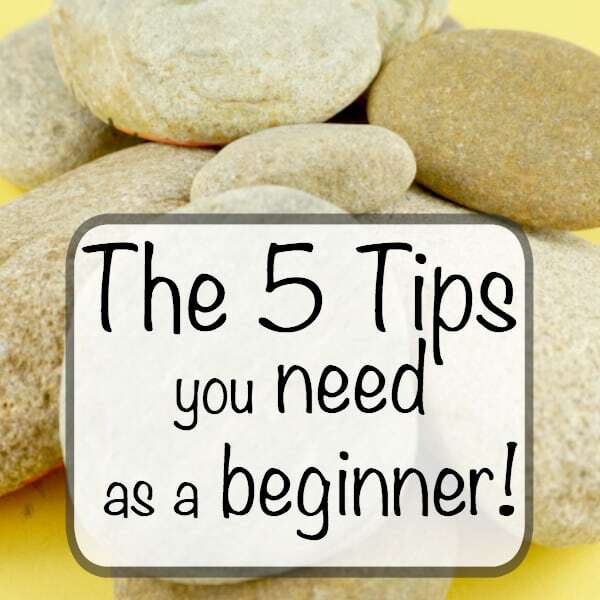 Then go around the center of your rock. You can do this all the way around your rock or just on the front side. Go back and forth along the line until you have a nice beautiful coat. It’s ok if it isn’t too smooth at this point. Now using a different sponge you can dab both ends of your rock the solid colors. Let the rock dry between coats. It is ok if the paint gets a bit thick. This works great when basing your rocks this way. 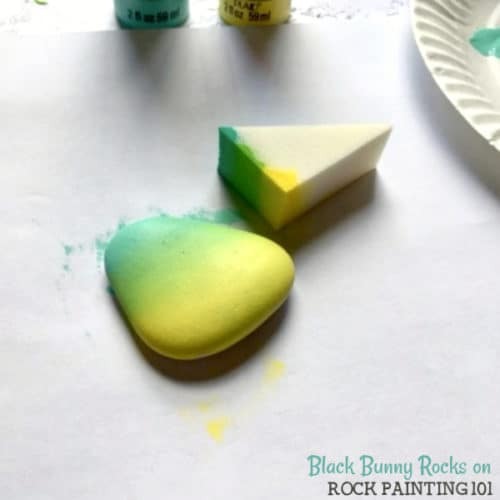 Work back and forth between your blending sponge and solid colors until you are happy with the rock! 101 Tip! 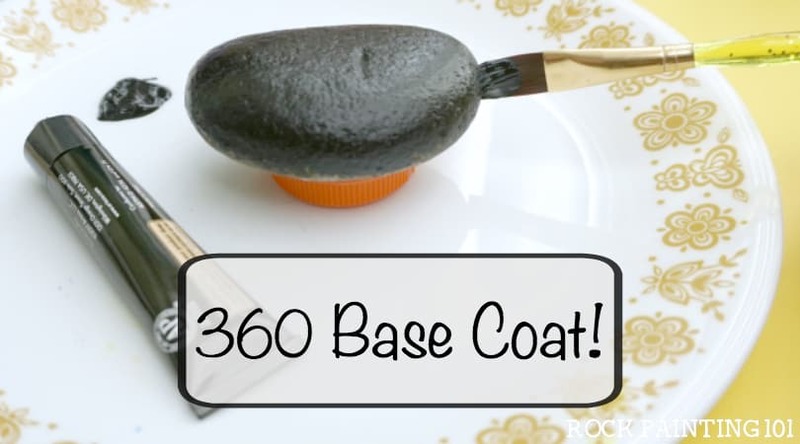 : If you are doing a 360 rock make sure to place on non-stick surface to dry! Once your rocks are dry it’s time to add your words of kindness! Here are some of my favorites, but head to the BlackBunnyRocks on Instagram to follow along and see more inspiration! The video that was used as inspiration has a slightly different take. See what works best for you! We hope you give this fun base-coating technique a try! 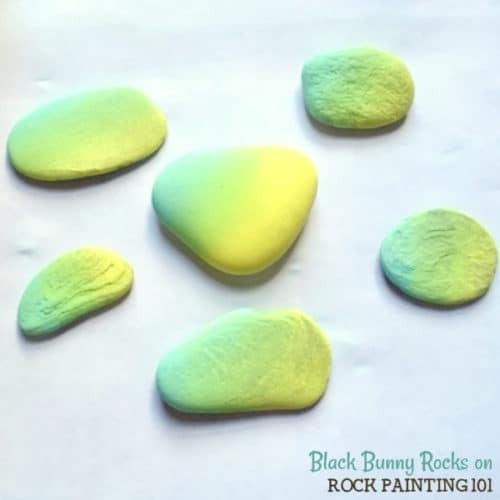 How to paint an ombre background on rocks!